Backed by years of industry experience, we are engaged in offering a premium quality range of UBC Aluminum Scrap Material. 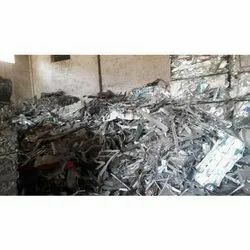 We are dealing in Aluminium Scrap Material. Aluminum Scrap comprises unalloyed and clean particles of aluminum and are sourced from reliable vendors of the market. These scraps have found their extensive applications in varied industries and are well recognized for their reliability, light weight and high performance. They are processed for the generation of aluminum based products. Backed by our profound domain expertise, we have been able to provide our clients a wide array of Aluminum Scrap & MS Scrap. These products find numerous applications in various industries and are very famous for their customized forms such as size and specification. SS Piston Ring Grinding Dust And Powder Waste. We are one of the leading traders of a vast range of Pisten Rind Grinding dusr and powder waste. Aluminum Wire, Rod Belt Pully Dust Dry And Wet Waste Sludge. 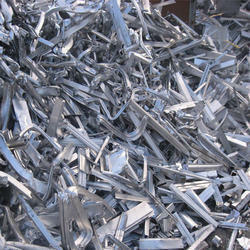 Owing to our experts and rich industrial knowledge, we are keenly successful in presenting Aluminium Scrap.